Trade Show Timeline Infographic | Displays and Exhibits, Inc.
Register and reserve a booth space with the event sponsor and request full details on exhibit requirements. Develop a trade show marketing plan that uses a mix of promotional methods to reach prospects. Forecast your return on investment. 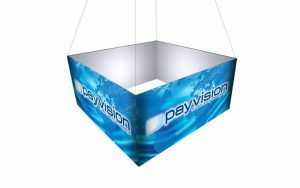 Pinpoint the part trade shows will serve, as part of your overall marketing and sales strategy. Develop a detailed trade show budget. Determine the literature and marketing materials you will need at the show – and begin design and printing work. Determine your exhibit design, lighting, layout and graphics needs. Order your giveaways and promotional items. Settle on staffing requirements, develop booth schedules, and plan training sessions. Schedule dinners or other meetings to be held at the show with prospects, distributors and/or customers. 1 week before show – This is It! Confirm shipping arrival dates for your booth display, promotional items and materials. Double check that all action steps on timeline have been covered. Analyze leads, send follow-up packets, and make contact as appropriate. Evaluate success of trade show participation compared with objectives from your trade show plan. Review your budget compared to your actual expenses for the show. Determine your return on investment. Make recommendation whether to participate in the same trade show next year. Include suggested changes, enhancements, and other trade show ideas. Schedule exhibit space – it’s your chance for the best!